Use the OneDrive app in your Android device to work with your personal OneDrive account as well as your OneDrive for Business accounts. If your device is running Android 4.0 or a newer version, you can use the one app to work with both. 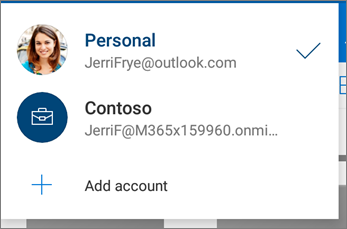 You can have both a personal account and OneDrive for Business accounts. Tap your picture or the icon at the top of the app , and then tap Add account. Sign in using the username and password you use for OneDrive for Business. You cannot sign in with multiple work or school account from the same organization.